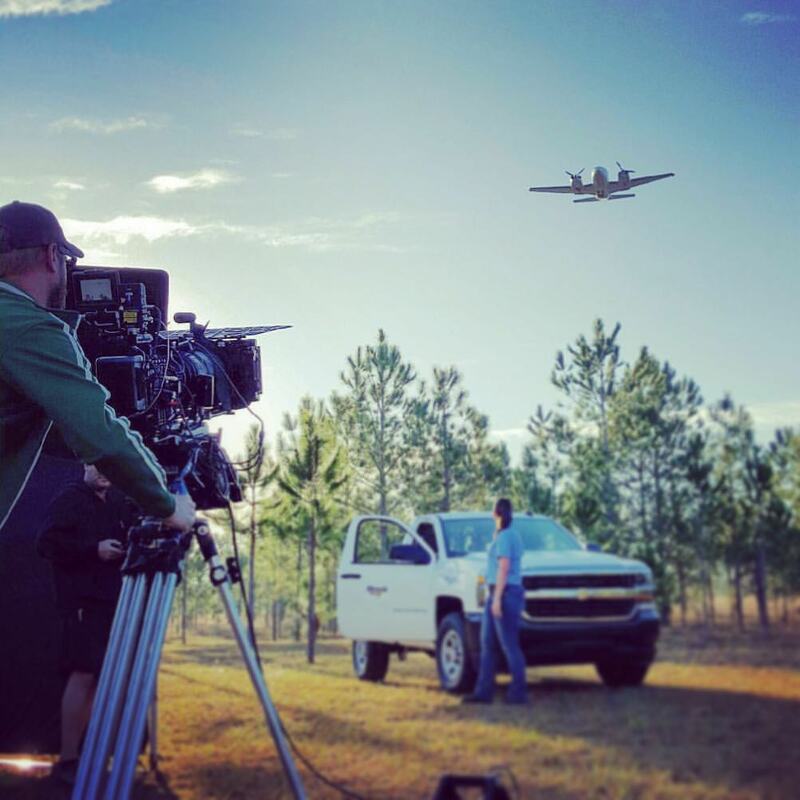 Are you interested in a career in filmmaking? Join Skyra Studios and build your demo reel and IMDB credits with professional film and new media projects. We have designed a program that will allow you to learn the ins and outs of film production from content creation to distribution. During the year, you will be a part of several new media and film projects that will have industry professionals attached. 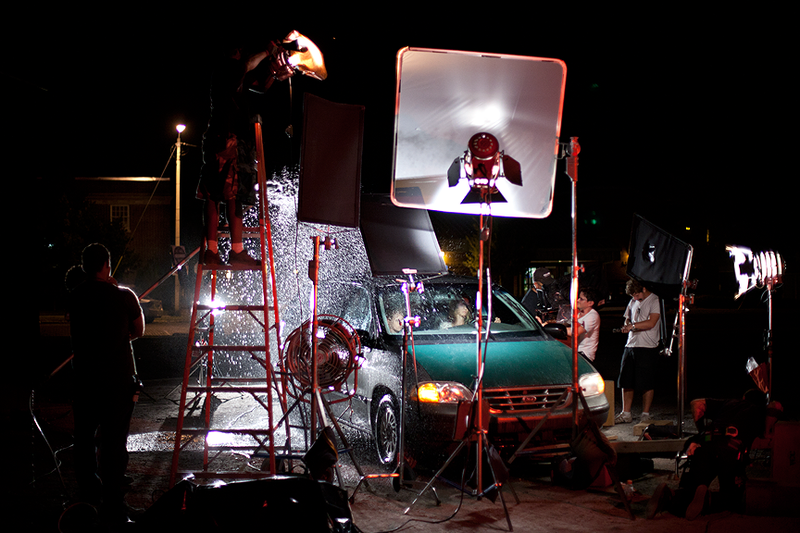 We hold the highest standard of excellence for film production and you will be proud of the projects you create here. By the time our students leave our program, they will have a professional portfolio. At the end of each semester, students will show off their best work with an exhibit show. Pictures that make the Skyra’s Best of Show will be printed in a book that will be given to the winners as well as sold in the Skyra Store. This course examines how films are crafted by developing an understanding of the underlying principles of filmmaking. In the first part of the class, students will be given a crash course in camera fundamentals. They will learn film vocabulary, particularly as it relates to cinematography and narrative film editing. 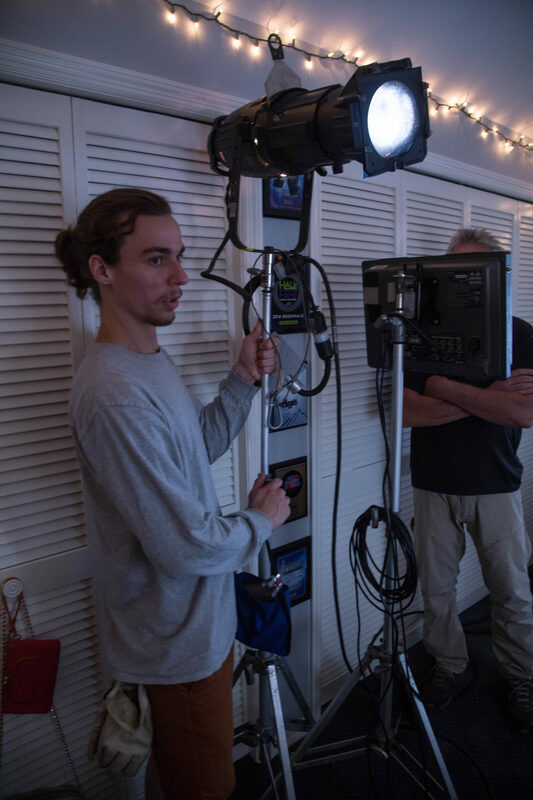 Students will demonstrate technical applications of filmmaking, including camera work and basic lighting. Students will continue their camera education while working with more advanced lighting techniques. 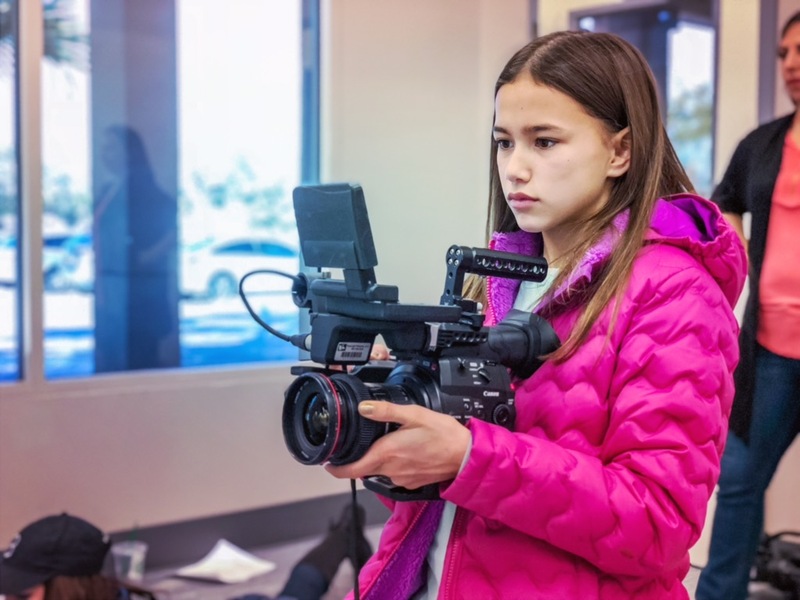 Students will learn various stages of video production. Our filmmaking courses allow students to team up with like-minded peers to express their own voice and creativity through film. In this course, students will take the knowledge they learned in Filmmaking 1 & 2 to film a project that was developed in the scriptwriting course. Throughout the year the students taking this class will be given social media assignments that will be showcased on the Skyra Studios website and social media pages. Have you ever had an idea that you thought would make a great book, movie or TV series? We are often hit with a surge of inspiration but lack the knowledge to transform the inspiration into words. This class will teach you how to develop an idea into a complete story. Projects created in this class will be selected and shot by the students taking Film Making 2. In this class, students will learn about character makeup and application techniques to create any transformation required for the creative development of a story for a film.